Laura Armenta is founder and artistic director of Laura Armenta Dance Company, owner of Armentality Movement Arts Center, and faculty member at GVSU. I met her in the summer of 2011 after purchasing a Living Social voucher for classes in belly dancing, core conditioning, and yoga. Her fun and friendly Saturday Global Jam classes were my jam for almost six years. Though I am on hiatus from classes right now, I remain a dedicated fan and follower of hers—and I’m proud to call her my friend. I asked Armenta: What is an important part of your culture/heritage that you want to preserve in your life and also want to share with American culture? And, what in American culture do you embrace? Laura said, "I'd like to preserve authenticity of character, as well as the emotional nourishment that, in general, Mexicans provide within relationships (family/friends). There is plenty more, but, this is a good summarizing. What I embrace in American culture is, in general, practicality. And, business wise, working smarter versus harder. I emigrated from Mexico City, Mexico in the mid-nineties. 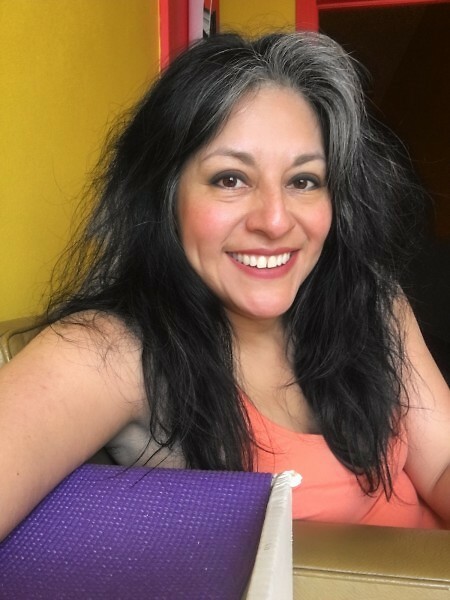 I am a Mexican-born performing artist, experienced educator, inspirational speaker, community leader and advocate, adventurous entrepreneur, wellness coach, and holistic practitioner. I hold a degree in fine arts and humanities, as well as multiple certifications in Yoga, Ayurveda, and Yoga-Thai therapy. I have been a devoted yogini since 1991 and have served the residents of Grand Rapids since 1999, bringing knowledge and expertise to schools, non-profits, and the community at large."